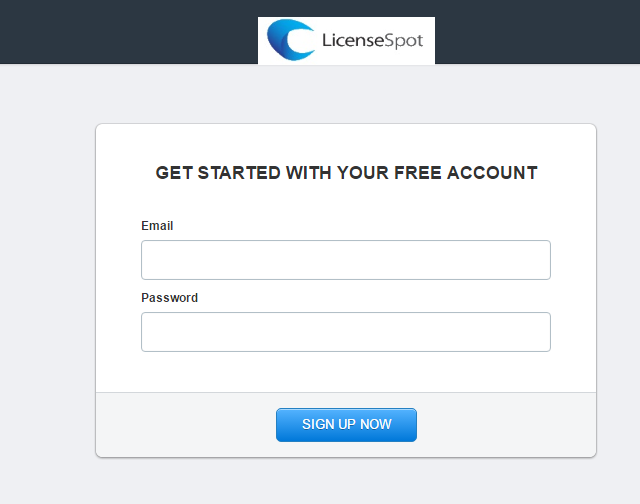 The first step to use a service is to create an account and LicenseSpot is no different. You can request a free account from here. You’ll be asked for your email address and your password. This is minimal information to be able to start your account. Then you’ll be asked to configure your first product.